Today we will look at a renovation that took an old house and updated it for safety and style. For people living in seismically active areas, such as the West Coast of Canada, there is a danger of building collapse. This house was renovated to be seismically strengthened and reinforced using traditional construction methods. 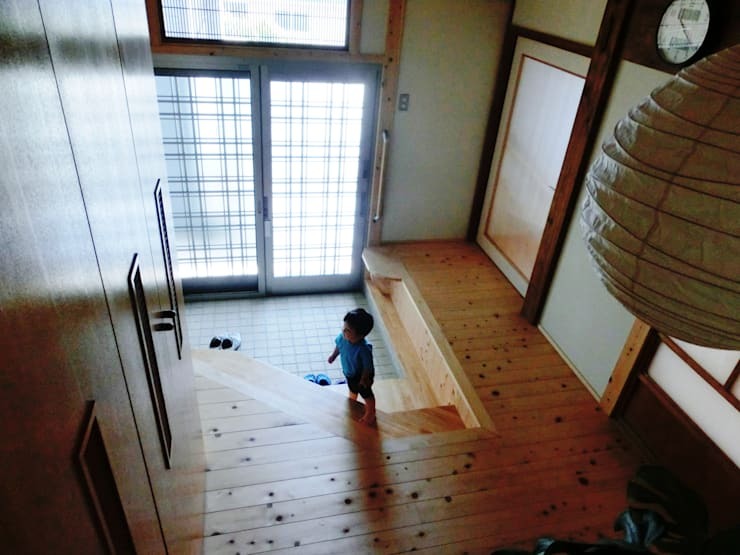 Japanese architects at Ujihara-Momotu found a stylish way to strengthen this home. The starting point for this project was a house built 70 years ago. 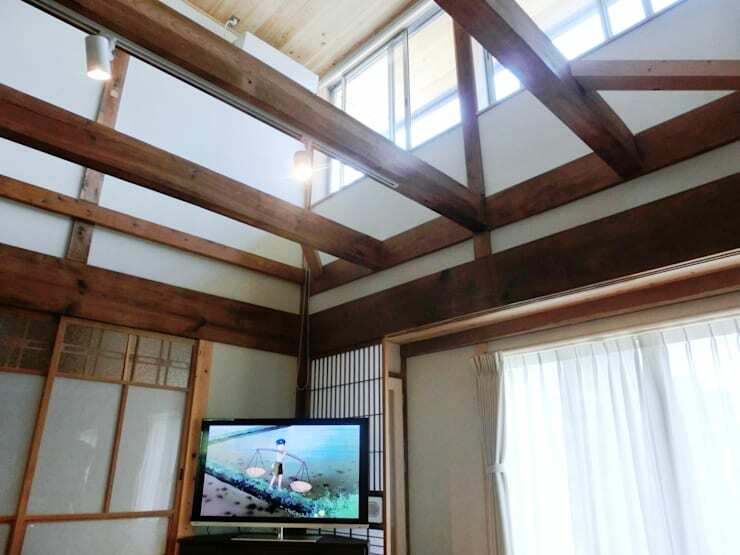 It was a traditional farmer’s house built with tatami mat floors, mud walls, and a tiled roof. For the renovation they first carefully demolished the site. Leaving only the structure of the house, they established a solid foundation. A simple steel roof replaced the original tile roof. 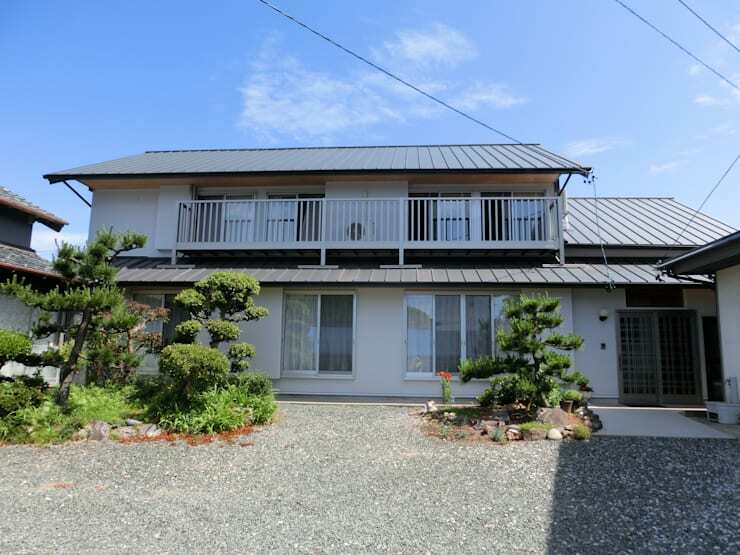 They tried to preserve the original Itabuku mud walls of the home as much as possible. They reinforced pillars and build shear walls to be robustly shockproof. Let’s take a look at the renovation that gave new life to the interior of the house! A renovation building on 70 years of tradition, this house got a major safety makeover. This seismic upgrading is sure to provide peace of mind for those living earthquake hotspots. The simple exterior of the home is pleasant and no flashy colours means that they keep the theme of a traditional home. Let’s go take a look inside at the incredible seismic upgrades inside. We start our tour with a look at the entryway that sets the tone for the entire home. The colour combination of white and cedar wood in the home is classic and will not be out of style anytime soon! This entryway has many built in storage solutions. You are entering a calm domestic space once you pass through this warm entryway. There’s plenty of space for the whole family to get ready and head out the door together. What a bright and cheerful space! This is the attic that now acts as a bedroom in the home. Right away the room is striking because of the massive wooden logs that act as support beams. 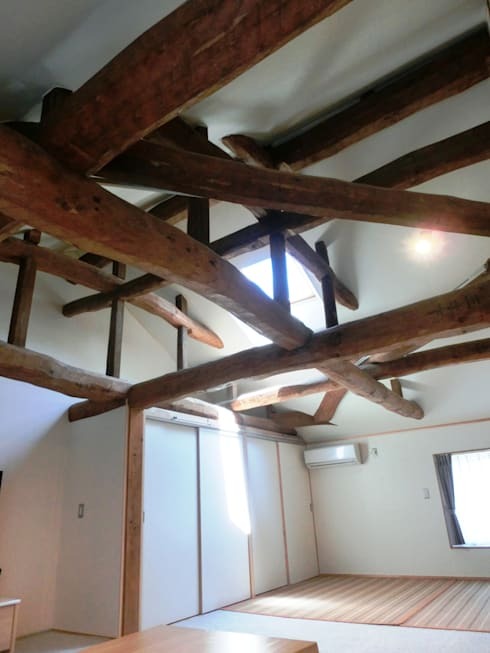 This style of heavy eaves has been used in Japan to prevent damage from earthquakes for hundreds of years. The beams make the house look like an ancient temple. Before renovation, this attic was an unused space. After the renovation and with the addition of a skylight, the attic makes for a splendid bedroom. This room retains much of the original mud walls used in the houses’ construction 70 years ago. The skylight and vaulted ceiling open the room up and make the space impossibly airy. We love the simple minimalistic style of the bedroom. The living room is in an atrium. This provides ventilation during the hot summer months. During the colder months, there is opportunity for the winter sunshine to enter the home. Cedar boards bring a beautiful vitality to the space. These support beams give the room an industrial chic feel. We love the sliding papered glass doors. Disconnected floors like this create bright and cheerful spaces in a home, but they also help keep a house earthquake safe. The building will not sway during minor quakes because it would take a huge amount of energy to move the thick wooden beams. The style of the kitchen is clean with a twist of rustic charm. 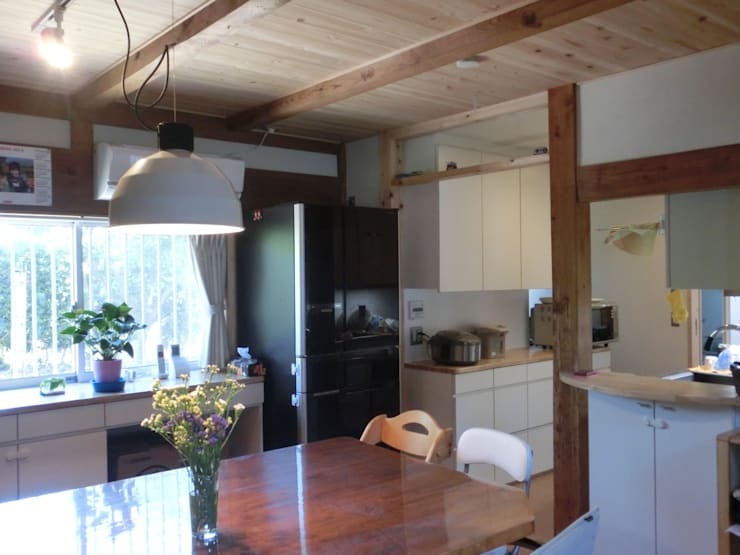 Lines of flow were considered in the design of the kitchen and the room has good energy! The kitchen is decidedly homey. The wood columns and support beams are well hidden in plain sight while the white cupboards and wood ceiling are the room’s focus. The wood ceiling looks like the inside of a nordic ski chalet. We hope you enjoyed this unique tour of a seismically strengthened home! For more japanese design inspiration, check out our feature on a modern Japanese home with traditional roots. Have you tried to seismically upgrade your home? Share your thoughts.